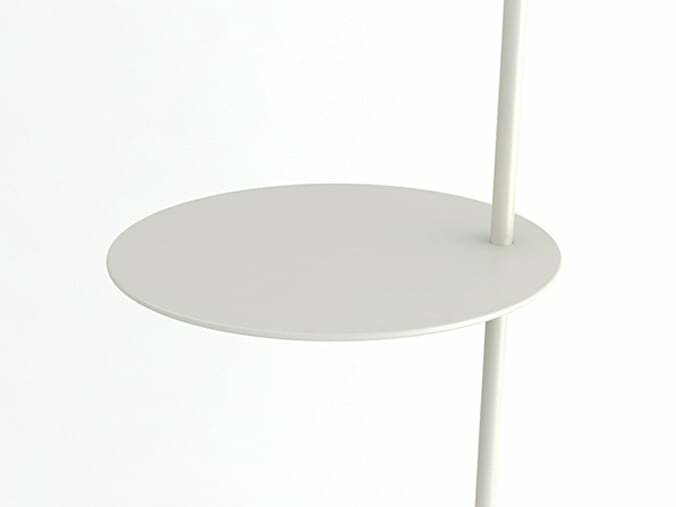 Approached by Almerich to design new floor light for launch at Valencia Design Week. Monsieur is a reading lamp, designed in collaboration with Christian Vivanco and Yago Rodriguez for Spanish lighting brand Almerich. 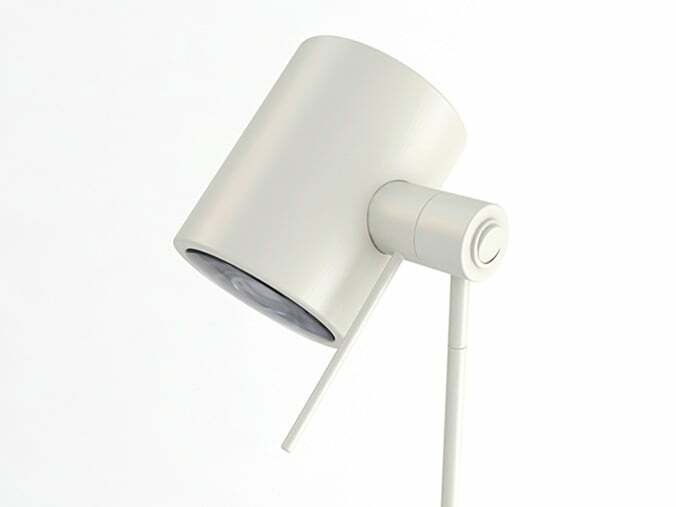 After researching different users, we presented Monsieur, a reading lamp as a response to an emotional need. When you are reading, a strong link is created between you and the book. People love to get lost in the pages of a good book and Monsieur encourages this connection, creating a unique, intimate and personal atmosphere. The result is a light and stable reading lamp, able to be placed in virtually any room of the house; it'll fit nicely beside your bed, next to the sofa or in the study. The addition of a small auxiliary surface, ideal for a book, a coffee mug or other small object completes the experience. The rotation system allows two movements covering more than 300 degrees each, being flexible and practical. Monsieur's design responds directly to the use and function of a reading lamp, where with a single arm movement you can adjust its position and take the book to read. Monsieur is part of our collaboration with Almerich and was presented at Valencia Design Week 2010. - Published in world's leading design magazines and blogs.